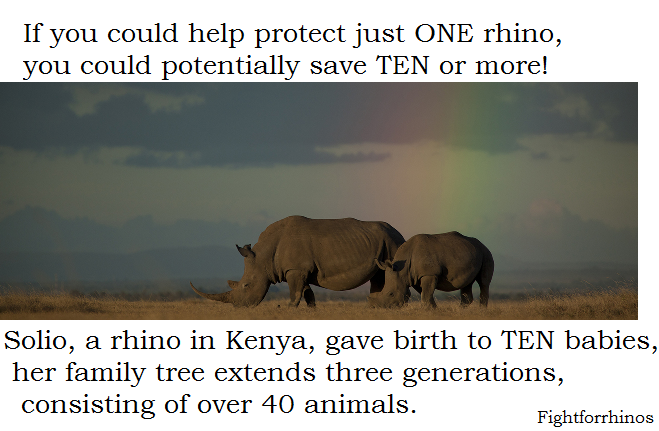 Will there be rhino horn under the tree? 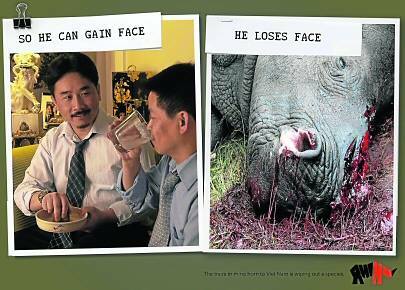 In 2013, sadly the most popular Christmas gift in Vietnam was rhino horn. The use of horn, as well as other rare animal products is deeply embedded in Vietnamese culture, and is a current trend of a luxury item within the country’s elite. Knowing the market, and being an influential businessman, Richard Branson has become an advocate and voice in the fight against horn use in the country. In September, he spent an evening in Ho Chi Minh City with the country’s elite. 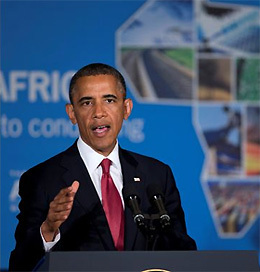 A campaign geared toward the business men who utilize horn. 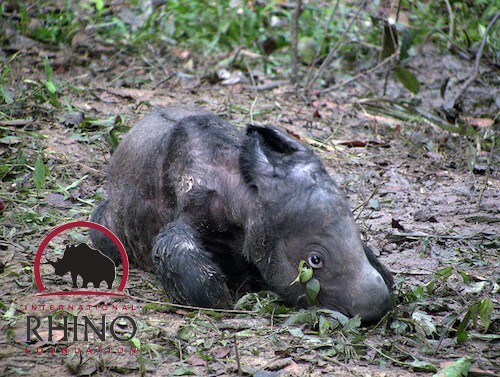 Yet according to a survey of Vietnamese youth (15-40), conducted by our Rhino Alliance partners, WildAct, there is little understanding of animal welfare. Despite the conservation education campaigns that have been introduced, there are a great deal of Vietnamese youth still wanting to own wildlife products. 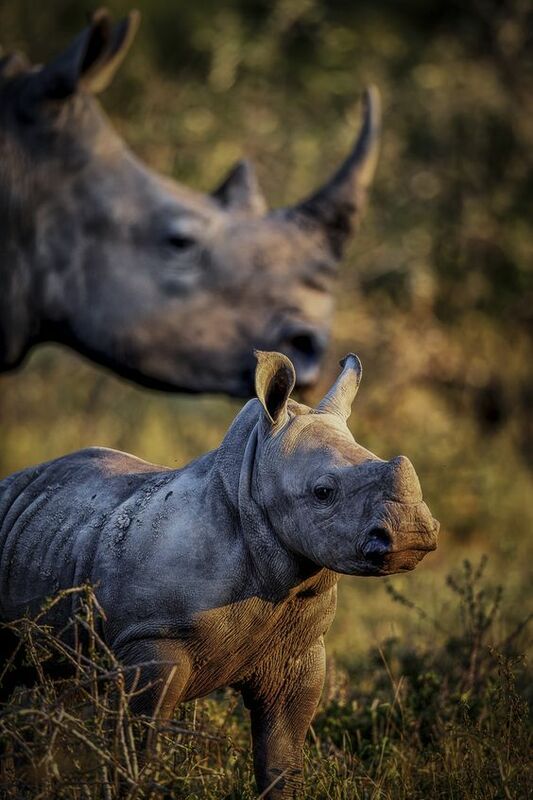 It is difficult to obtain true numbers indicating actual growth or decline in usage, but the number of poached rhinos this year is at an all time high, with at least 1500 poached in 2015. Wildlife consumption and use is a social event in the country. It is a matter of changing tradition and trends. To better understand the difficulty of this, imagine if turkeys became endangered; could we convince people to stop consuming them every November? 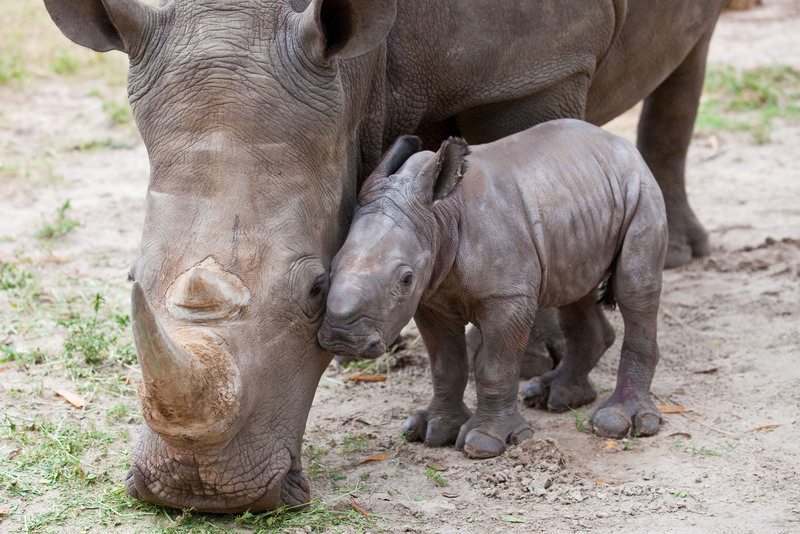 In the meantime, how many rhino horns will be gifted this Christmas? How much longer can they sustain the slaughter and demand? 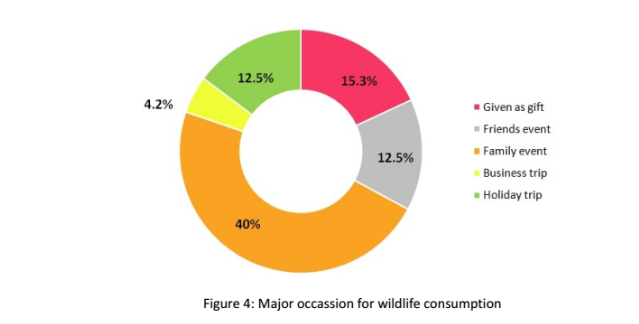 The silver lining is that in WildAct’s survery, nearly 98% of the youth agree the government should do more for wildlife conservation. Continued education and empowering the youth is the key to curbing the demand. 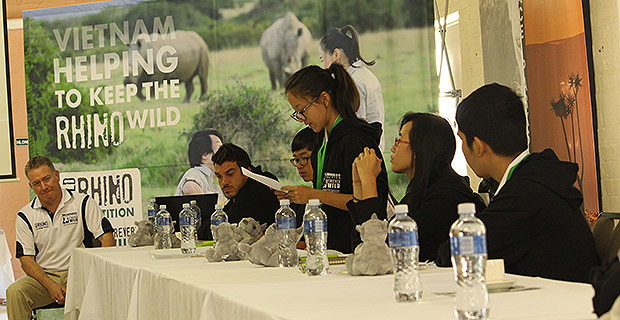 Investec supports a program for youth ambassadors for wildlife in Vietnam. 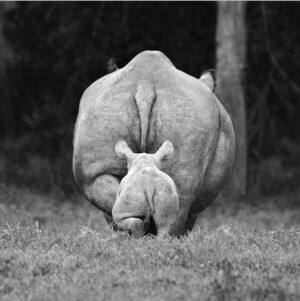 San Diego, CA-last hope for the Northern White Rhinos. There are presently only three Northern Whites’ left in Kenya and one in California. All previous plans to breed and re-populate the species have heartbreakingly failed. It has come to the final hour. 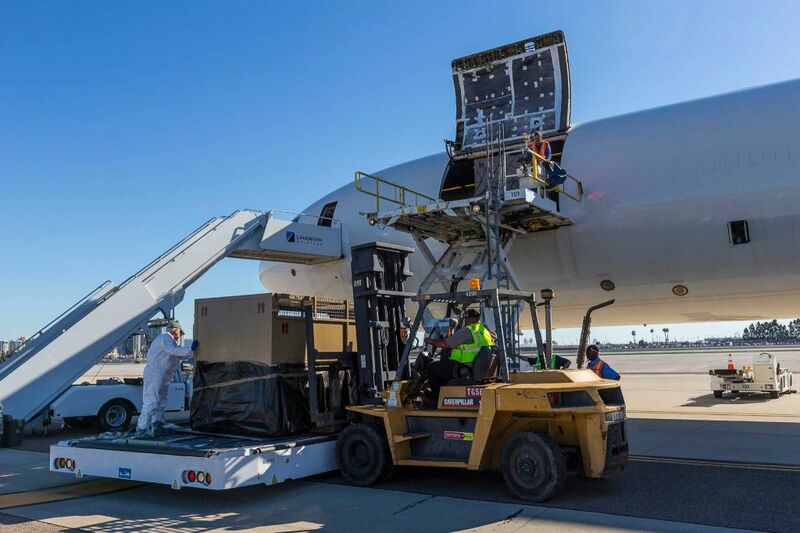 In a last attempt to save the species, six Southern White Rhinos have been flown from South Africa to San Diego in an attempt to be implanted with embryos of the Northern Whites. 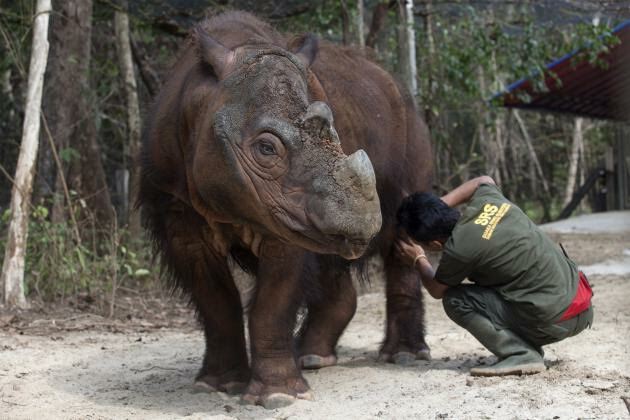 If the procedures are successful , they would be put to use to preserve endangered Sumatran and Javan rhinos as well. Although researchers are optimistic, success will not be fast enough; as they estimate it could take 10-15 years to see a successful outcome. 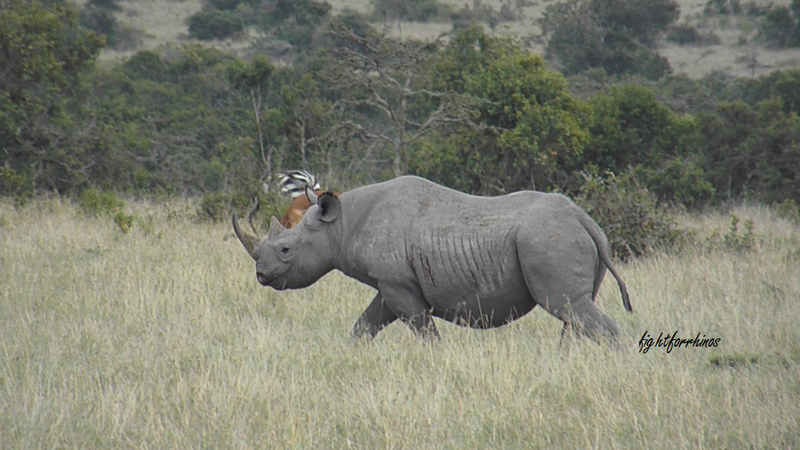 In the meantime, the four living rhinos are aging, and running out of time. 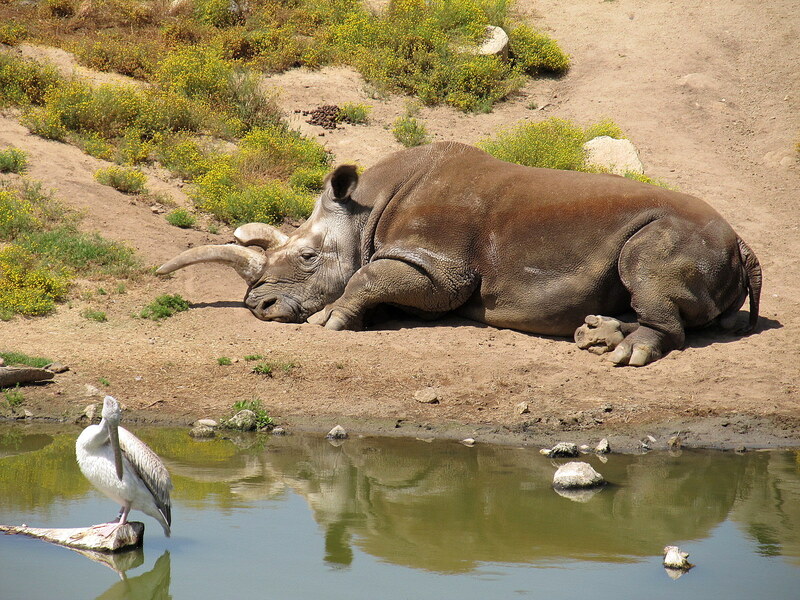 The Northern White Rhino used to range over parts of Eastern and Central Africa (Uganda, Chad, Sudan, the Central African Republic, and Democratic Republic of the Congo). In 1960, 2,000 northerns existed. Back stateside, after 2 weeks in the bush… we learned so much, met fantastic people with great minds and passion for wildlife, and were able to re-focus as we looked into both current and new strategies in our part in the poaching war. 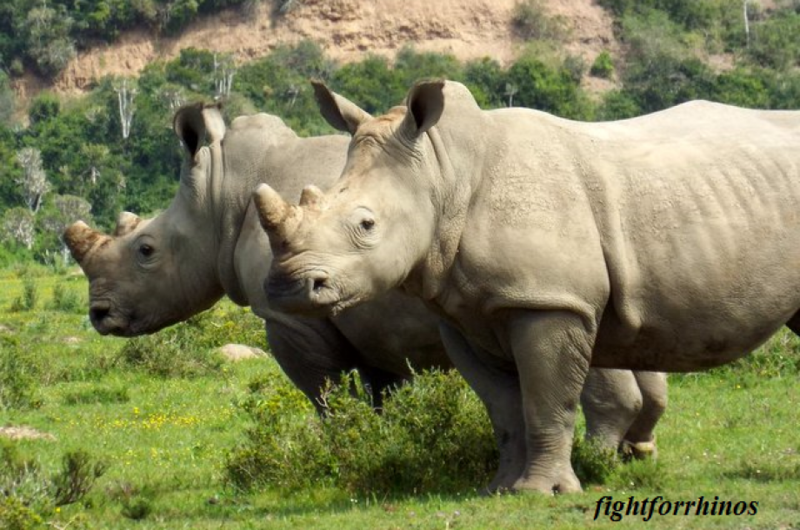 Starting off in the Hoedspruit Endangered Species Centre (HESC) , Fight for Rhinos sponsored the dehorning of one of two poaching survivors, and personally sponsored the other. They are well cared for and coming along nicely in their rehabilitation. We left HESC feeling satisfied and productive after meeting with such professional and experienced people. As we arrived at the airport, a chopper flew low overhead. 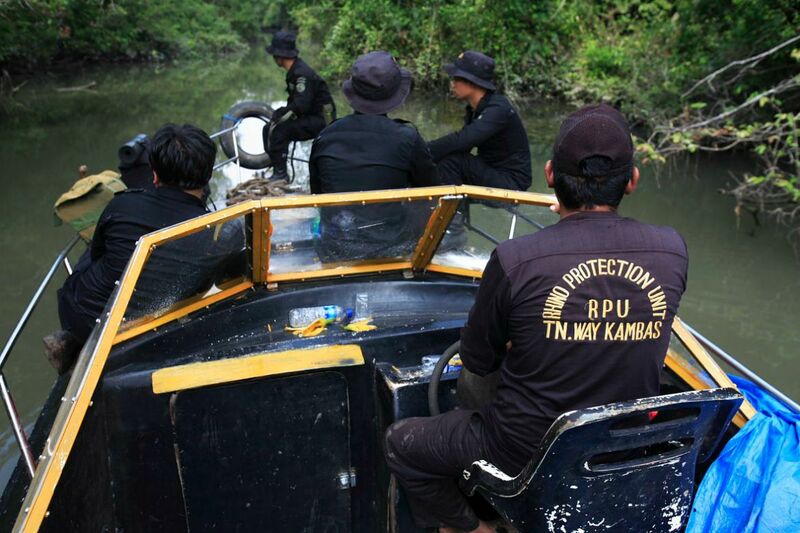 A moment later we heard of a possible poaching. A feeling of dread set in, mind racing, as we wondered about the rhinos we had just seen, both in the Centre and in the bush. Was it one of them? Unfortunately, being anywhere in Africa it seems wi-fi is spotty at best. 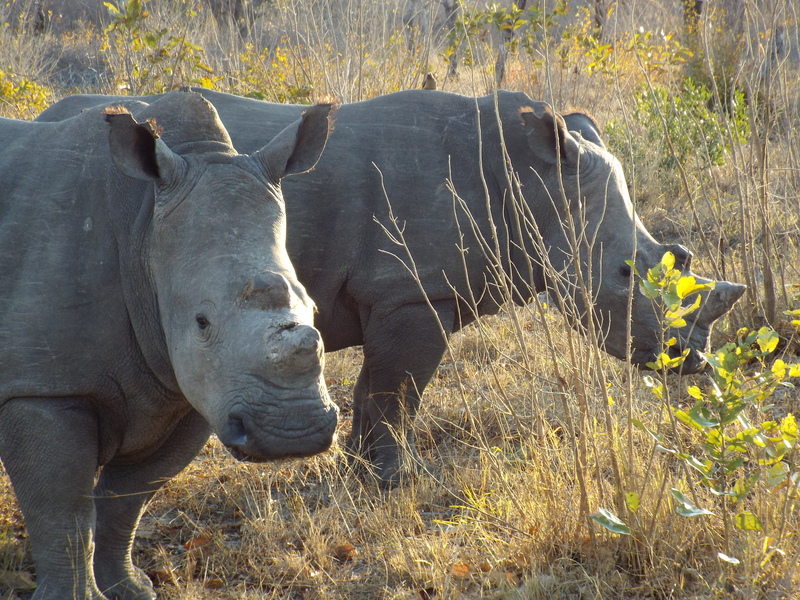 It was a couple of days before we heard that not just one, but FOUR rhino were poached in Hoedspruit. Funny that it should matter being there, as opposed to hearing about it from behind the laptop. But emotion doesn’t often make sense. And sitting in the airport, I felt like we should have been able to help them somehow. It took some time to shake that feeling, it weighed heavy on me. But having so much further to go, so many more people to meet, I tried to focus on the rest of our agenda. Thankfully there were many parts of our visit that brought us hope. 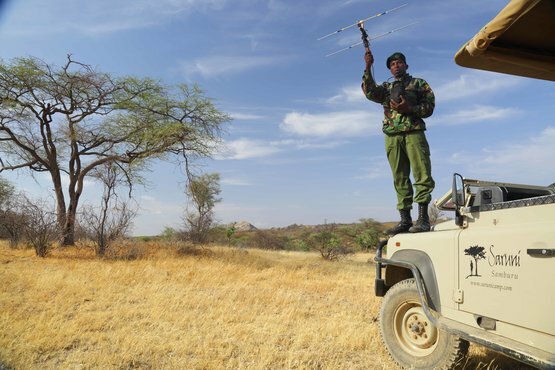 Veterinary staff, APU teams, guides and rangers alike helped shed light on their needs, their vision, their eagerness to push forward and protect the rhinos. 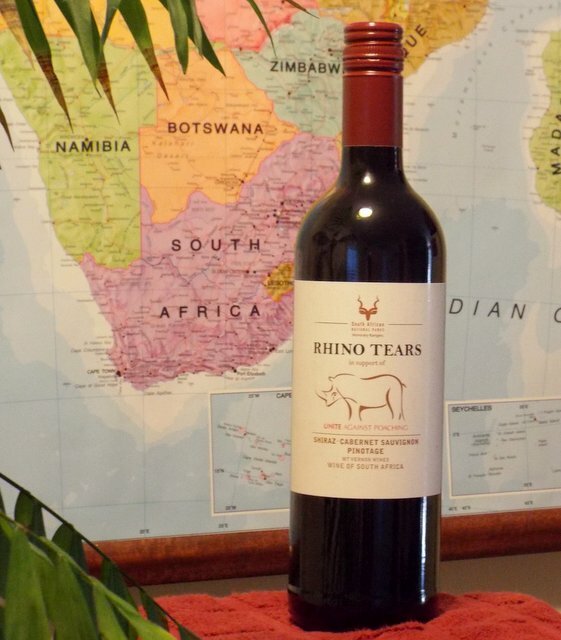 A member of the HESC team touched my heart as she gifted me a bottle of Rhino Tears wine (the purchase of which supports rhino conservation). 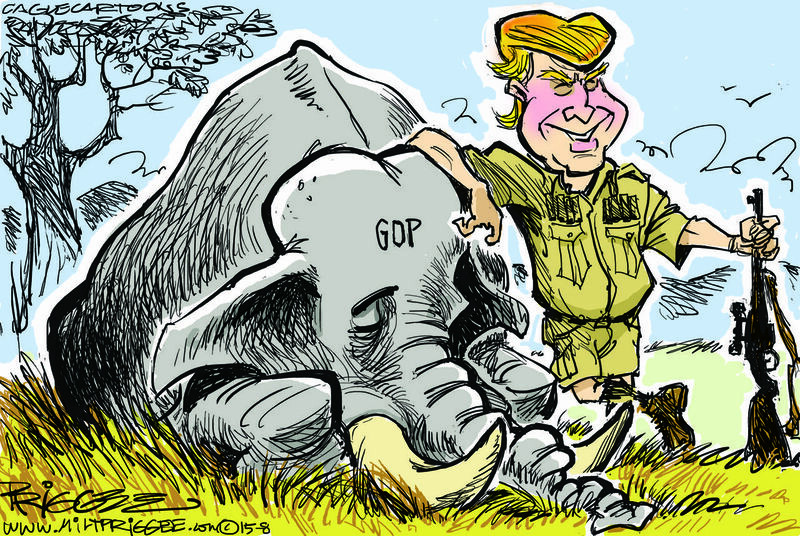 I immediately decided if it made it’s way home unscathed by the airlines, we will not be indulging until the poaching crisis reaches a turning point. It sits in my kitchen as a reminder of what’s still left to do. 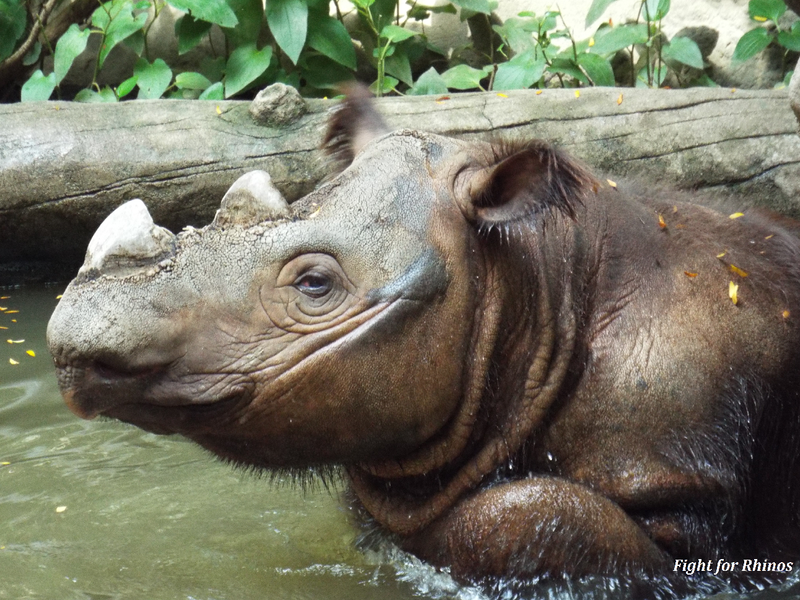 So as we celebrate another World Rhino Day, we’re really celebrating another year with the existence of rhinos in the wild. Another precious year, another chance to get it right. We appreciate your support, and look forward to sharing our new strategies and plans soon. In the meantime, keep sharing, tweeting, and raising awareness! Together we will keep making a difference. Looking forward to turning the tide, and finally tasting the wine. 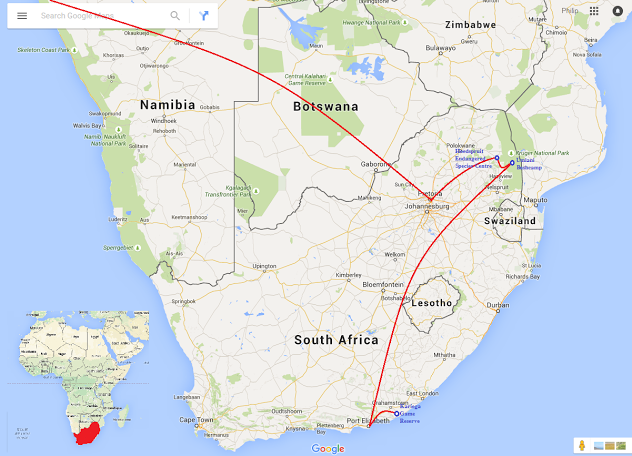 We’re off to South Africa, home of over 75% of the world’s remaining rhinos. Meetings, discussions, observations; and doing what every other passionate, serious rhino advocate is doing-searching for the holy grail. We’re all equipping our rangers, delivering milk to the orphans and trying to educate the masses; standing our ground, constantly searching for THE answer, “the game changer” solution to end the poaching once and for all. Maybe there isn’t one. But from the APUs, the education campaigns and individual support, we are attacking the crisis from every angle, and we ARE having an impact. 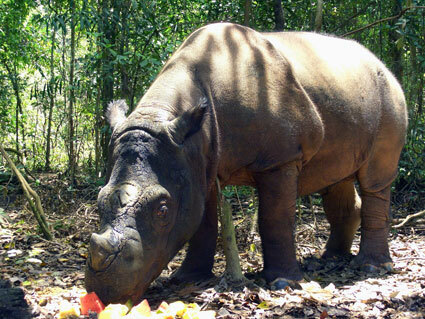 In the latest survey in China, 24% fewer people believe rhino horn is a medicinal cure. Education IS working. 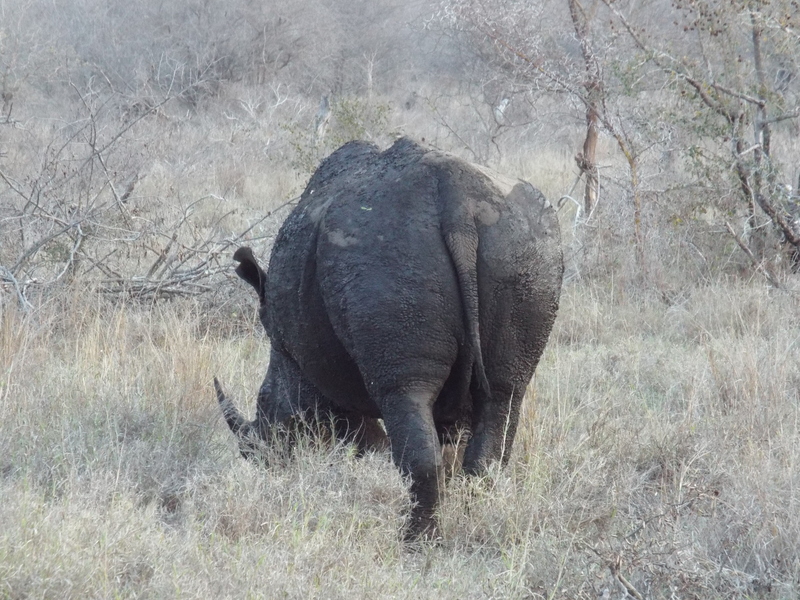 The number of rhinos poached outside of Kruger National Park has decreased. There have been 51 more arrests than the same time last year. 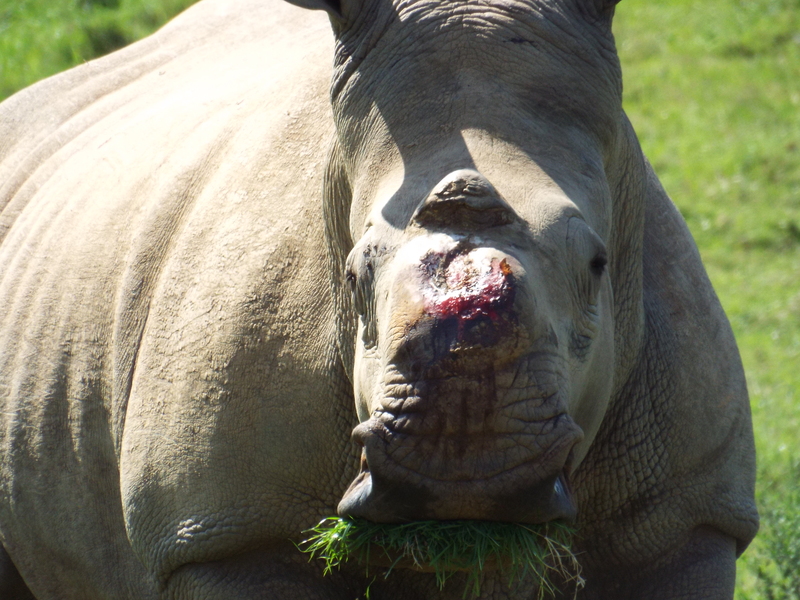 It’s difficult to get past the photos of faceless, bloodied rhinos and see the hope. But it’s there, and it’s important we take note of it. 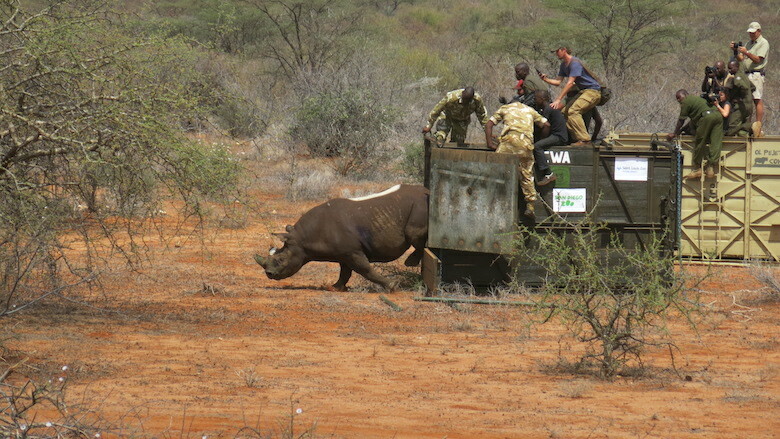 Without the small steps of progress, this war would be over and not only the rhinos would have lost, but the other wildlife that are in line to be the next “medicine or trophy or status symbol”. Of course we’ll still be searching for THE elusive final solution, but in the meantime we have our noses to the grindstone and continue to fight for each ranger, for every rhino, and for the preservation of our wildlife. 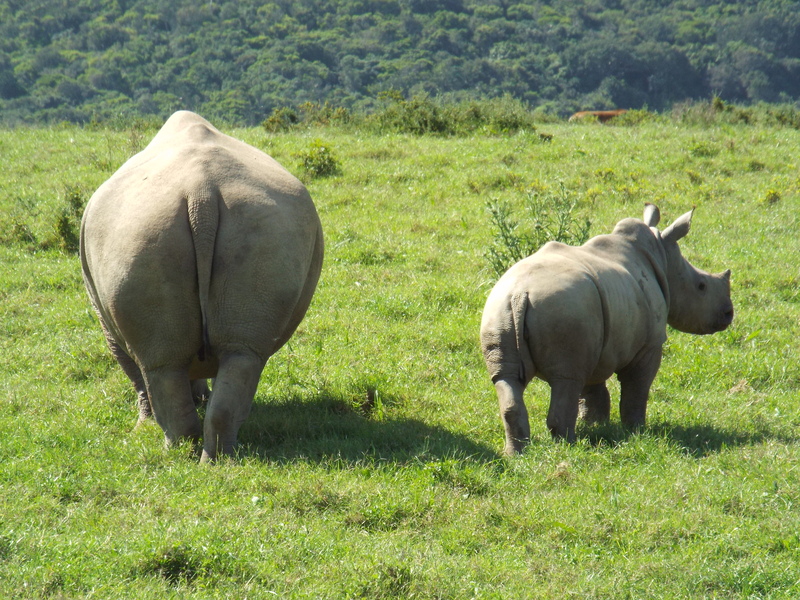 We salute our fellow conservation groups, and are grateful for individuals who advocate for rhinos. Your support keeps the spark ignited, keeps the search going and keeps hope alive.